The Battle for Kirra is on again! Protest Paddle out called for Sunday 19th January at North Kirra/Bilinga opposing $ 2 billion Ocean Terminal/Casino. 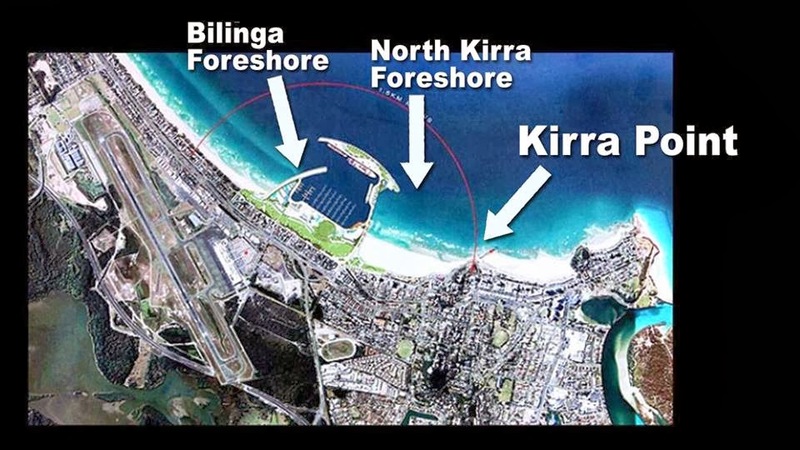 Save Our Southern Beaches Alliance has called on the public to join a peaceful paddle-out protest to oppose the $2 billion proposed Ocean Terminal Casino development at North Kirra/Bilinga meeting at North Kirra 10am Qld time. Community groups both surfing and non-surfing will amass on the beach and in the surf in possibly one of the biggest demonstrations yet seen on the Gold Coast since the 2009 Australia Day Paddle Out at Kirra Point when 1500 surfers joined in the map of Australia with as many as 5,000 on the beach to protest the loss of the iconic Kirra Point break. Current World Professional Champion and avid campaigner for Kirra, Mick Fanning is totally opposed to the proposed development and has called on the public to support the paddle out protest on the 19th May at the North Kirra site. 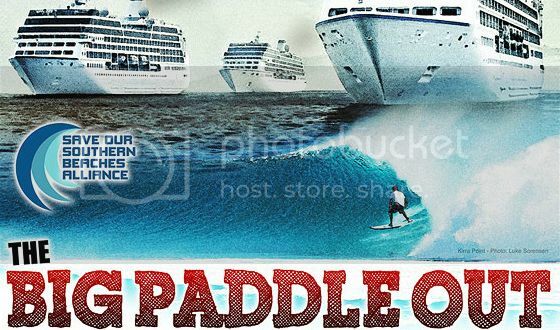 “Everyone who is concerned about the cruise ship terminal please show up and have your voice heard. This is a community stand so if you surf or just enjoy the beach as it is, let's make a statement!” said Fanning. SOSBA back Mick Fanning’s stance and reiterate that the paddle out protest is not restricted to only surfers and that all the community can play a big part in the shape of the development on the beach! Anyone from the club that has surfed Kirra or wants to one day should get up there to the protest.